This lecture will accompany the exhibition The French Horse from Romanticism to Surrealism: Works from the Virginia Museum of Fine Arts on view in the Ridderhof Martin Gallery. 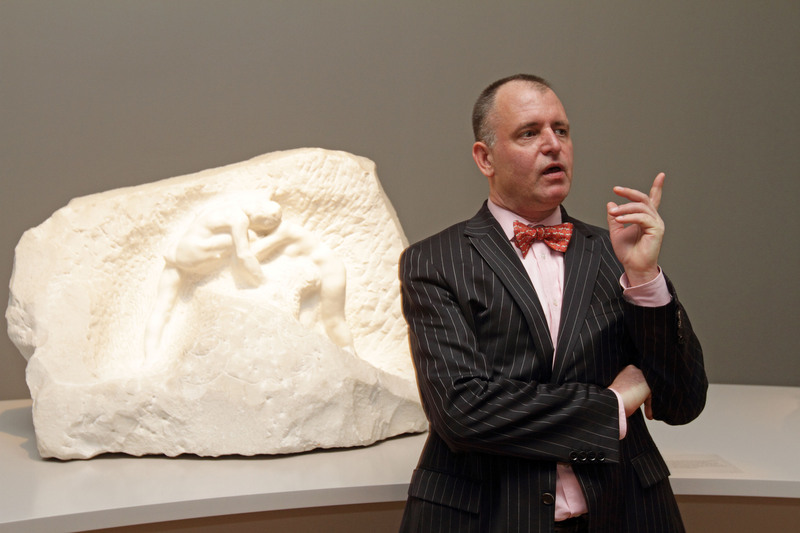 Mitchell Merling is the Paul Mellon Curator and Head of the Department of European Art at the Virginia Museum of Fine Arts. Dr. Merling has served held both Pre-and Postdoctoral fellowships at the National Gallery of Art and served as Curator at both the Montreal Museum of Fine Arts before joining VMFA. At VMFA, he has produced exhibitions on Fabergé, British sporting prints, 19th-Century French floral still lifes, and Auguste Rodin, among others, and is currently preparing an exhibition of Rachel Lambert Mellon’s collection of Jean Schlumberger jewelry and objects. Tonight he will talk about both the contents of the French Horse exhibition, and its evolution as an inclusive museum studies student-curated project involving juniors, seniors, and graduates from five Virginia institutions of higher learning, including Mary Washington University. Posted in Gallery Events, Past Events. Sign up for UMW Galleries Mailing List!